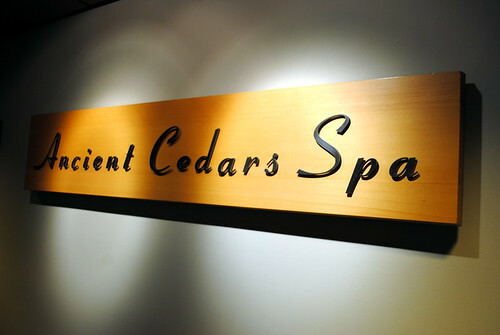 Though words such as restful, tranquil and relaxing are sentiments that may come to mind in describing the average spa experience, none of them seem to suffice when regarding the Ancient Cedars Spa. Located at the bottom of a winding staircase within Tofino’s Wickaninnish Inn, this seaside spa is in a calibre all its own. Featuring treatments inspired by the transforming sensation of the Pacific Ocean, Ancient Cedars Spa utilizes an extensive range of wonderfully holistic spa, beauty and make-up products. Last week I was fortunate enough to visit the spa for one of their signature treatments. As I entered the inviting and quiet entrance, I was given a glass of a fresh lemon water and whisked into the ladies’ lounge. A locker with my name on it awaited me, containing cushy slippers and a plush robe. 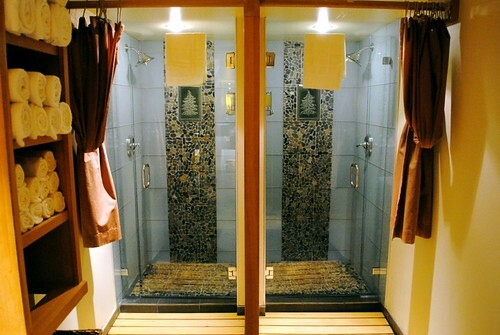 Though I had the option of visiting the steam room prior to my treatment, I instead opted for a warm and soothing shower. A number of Aveda, Comfort Zone and Sea Flora products were at my disposal for cleansing, refreshing and moisturizing. “Everything is one – all is interconnected” is the meaning behind the Hishuk Ish Tsawalk Awakening Treatment. Developed directly with Tofino’s Nuu chah nulth First Nation, this treatment brings together the elements of fire, wind, water and air. This four-part harmony is designed to cleanse, invigorate, restore and finally balance. 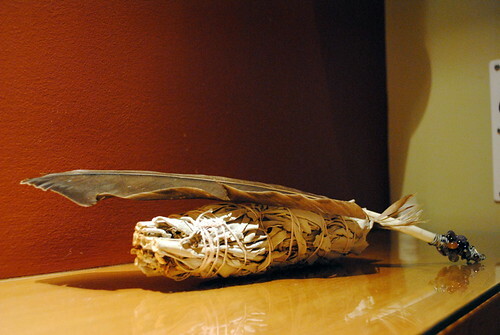 My spa therapist, Panagiota, gently walked me through the stages of the treatment, beginning with the burning of sage as it drifted over my body with a sweeping eagle feather. 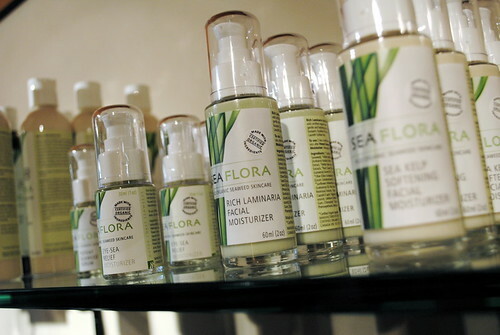 Following that, I received a full body exfoliation using Sea Flora organic skincare products harvested and developed in Sooke. The scrub was rinsed away in an alternating hot and cold shower before the final step of a head-to-toe massage. Using silky and fragrant essential oils, Panagiota worked over my muscles using smooth, hot rocks she had gathered from one of the rivers that feed Tofino. A week later, as I reflect on the Hishuk Ish Tsawalk Awakening Treatment and my entire experience at Ancient Cedars Spa, I still feel to be a bit in awe. The perfect blend between luxurious and grounded, it was undoubtedly an unforgettable encounter. A number of both contemporary and traditional spa treatments are available at Ancient Cedars Spa, but don’t take my word for it – visit and feel for yourself. 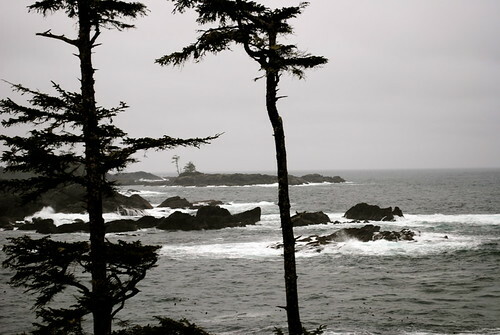 Ancient Cedars Spa at the Wickaninnish Inn is located at 500 Osprey Lane in Tofino, BC. You can visit the spa and inn online, become a fan on Facebook or follow the Wick’s updates on Twitter. We are so thrilled that you enjoyed your time with us. Your words are humbling and we are very grateful. Our team is looking foward to welcoming you back!